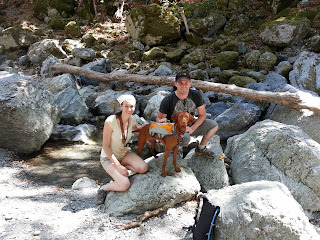 Family picture at "Little Yosemite"
On our last day of vacation, we stopped at Sunol Regional Wilderness for a nice hike because it was on our way home from Tahoe. 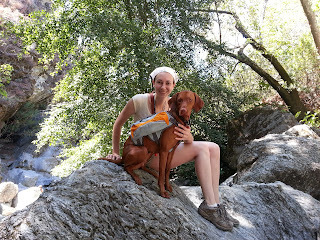 I wanted to try out Riley's new pack and I also had the brilliant idea to turn my SprintGPS fitness tracker on and put my phone in her pack to see her speed, pace, and elevation during the hike. I have always told people not to run their dogs on-leash because of the repetitive, sustained motion and the bad effect it can have on their joints. Today I actually was able to compare Riley's off-leash run to one of my husband's runs in our neighborhood. Riley's pace shows huge swings up and down on the graph while Reuben's is fairly level the entire run. While Reuben's speed remains fairly constant at around 6.5 mph, Riley's varies between 0 and about 12 miles per hour in short spurts. It's nice to be able to actually have a visual representation of the difference between a dog's off-leash adventure and a person's run. 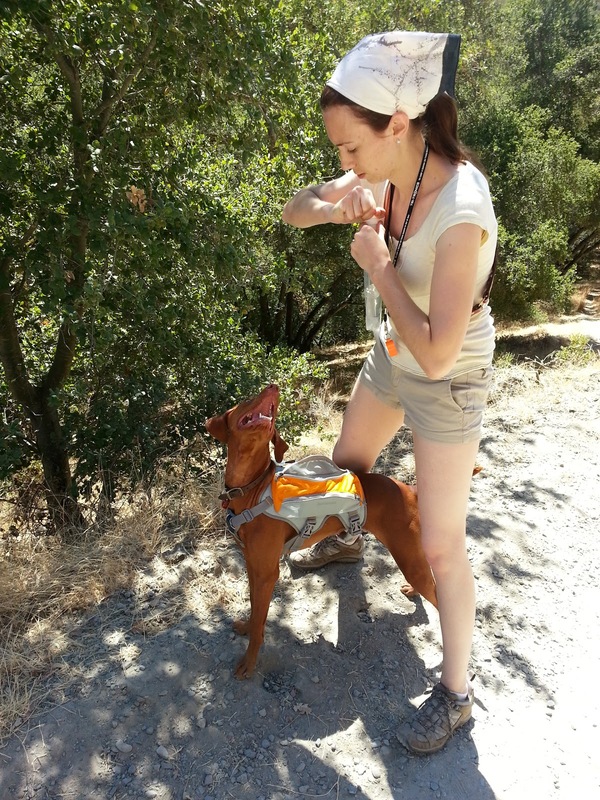 Please don't run your dog on-leash until they are fully developed (around 18 months). As you can see, a pup's way of running is completely different from a person's and running them on-leash could have a terrible effect on their developing joints. 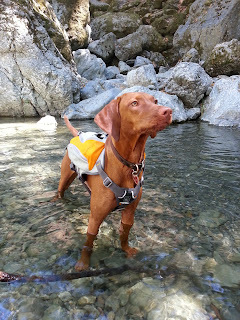 Both the hubby and I LOVE Riley's new Ruffwear Singletrack Pack! It has two water pouches on either side. I only filled them half-way with water to get her used to having extra weight on her back. It didn't seem to bother her at all. 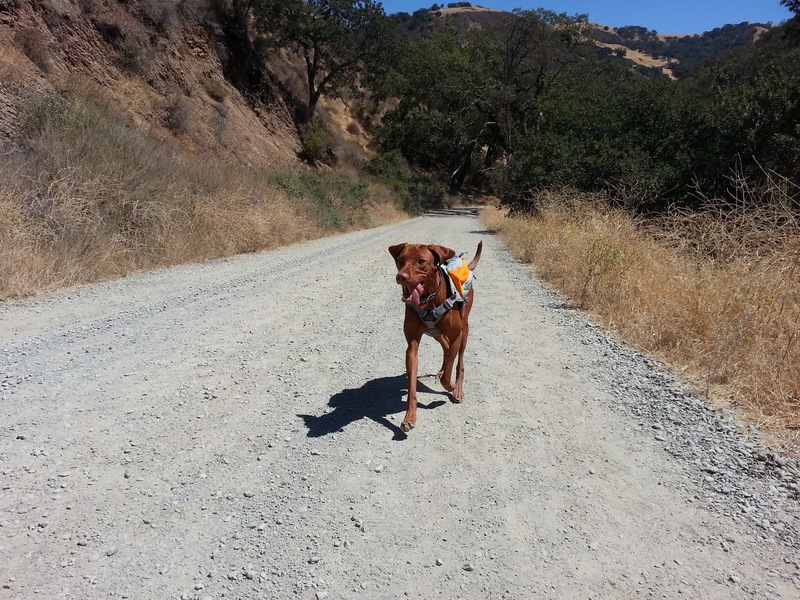 The pack fit really close to her back, so she was easily able to run under barbed wire and through bushes without it getting caught on anything. 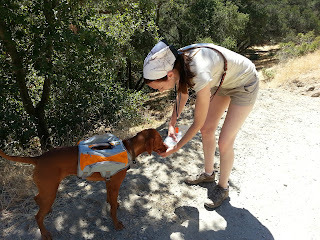 We stopped for a break half-way and she loved drinking the water from her pack. 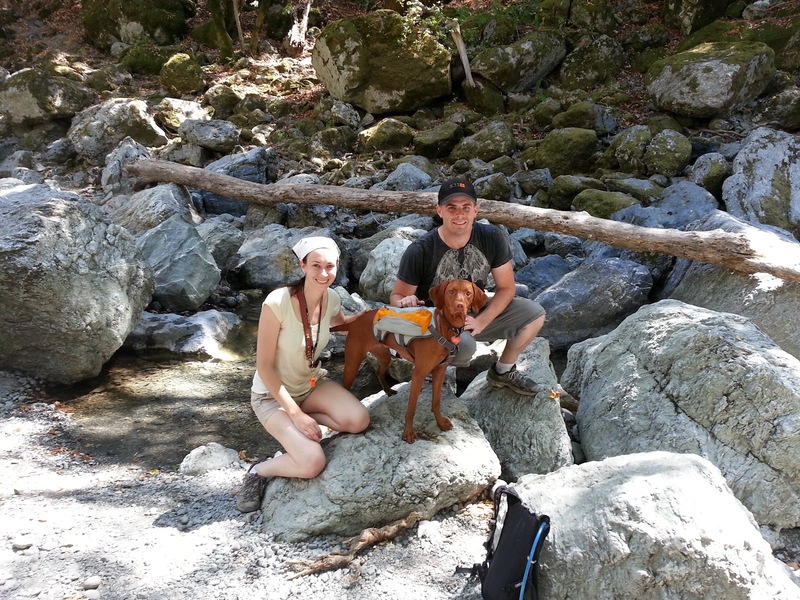 I'm sad that our vacation is finally over, but we had such a great time with our sweet pup by our side! Great adventure. Very interesting information.